Marshall, Gerstein & Borun LLP will sponsor the Chicago Committee on Minorities in Large Law Firms - Minority Associate and In-House Counsel Bash on October 14, 2010. This premier annual event will provide professional networking for members of the minority associate and corporate counsel community. This event will also be a great chance to learn more about Chicago Committee events and new initiatives. “The Chicago Committee's programs provide essential networking, coaching and mentoring for minority law students and lawyers. 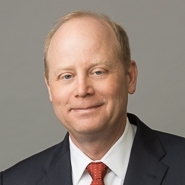 Our Firm has a shared responsibility with other law firms and businesses to engage in sustainable and collaborative activities that foster greater diversity and inclusion in the legal community,” said Roger Heppermann, Chair of Marshall, Gerstein & Borun’s Diversity Committee. Visit the Marshall, Gerstein & Borun Diversity Web page for further information. The Minority Associate and In-House Counsel Bash takes place at the Joffrey Tower from 6:00 p.m.–8:30 p.m. For further information and to register for the event, visit the Chicago Committee on Minorities in Large Law Firms Web site.